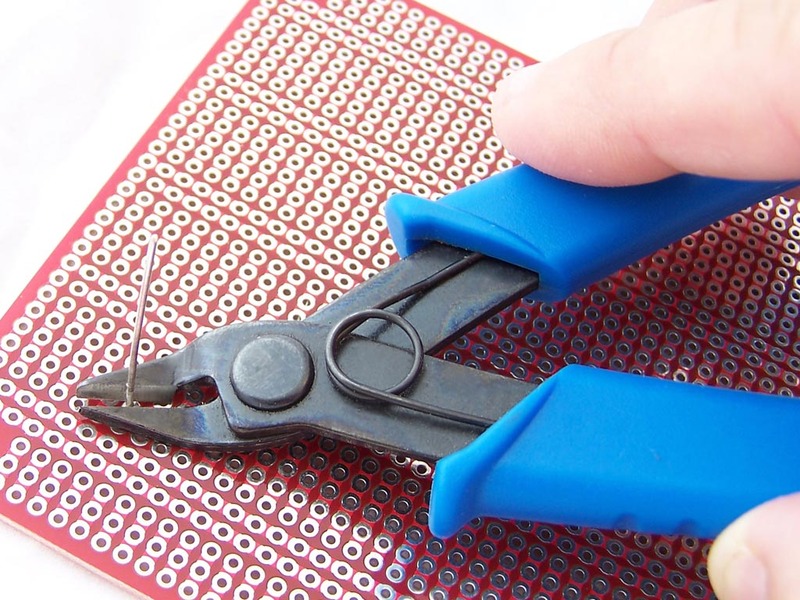 When cutting leads on a circuit board, standard diagonal cutters will do the job but for a neater job Flush diagonal cutters are the way to go. The flush cutting blade allows you to get closer to the PCB and makes a cleaner cut. These are now available in our tools section for just $8.50.